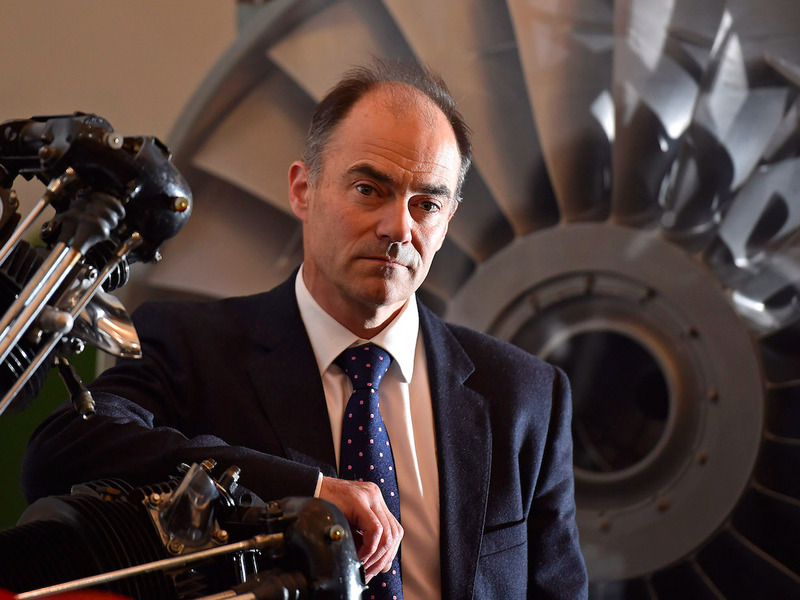 Warren East, CEO of Rolls-Royce, poses for a portrait in front of a Pegasus airplane engine at the company aerospace engineering and development site in Bristol in Britain December 17, 2015. LONDON (Reuters) - British engineering company Rolls-Royce is cutting a few dozen senior management jobs, the latest move by its chief executive to revive a company reeling from low oil prices and a slowdown in aero-engine servicing. CEO Warren East, who took the helm in July, wants to cut the company's cost base by 150-200 million pounds a year by 2017. Most of the job cuts will affect managers reporting directly to East or one of the business presidents of its civil aero-engines, defense, nuclear, marine, and power systems units. The latest job cuts follow the first stage of Rolls-Royce's management shake-up in mid-December, when East scrapped a two-divisional structure in favor of five business unit heads reporting directly to him.